This time Naoto Shirogane takes the stage. I-is it over yet? 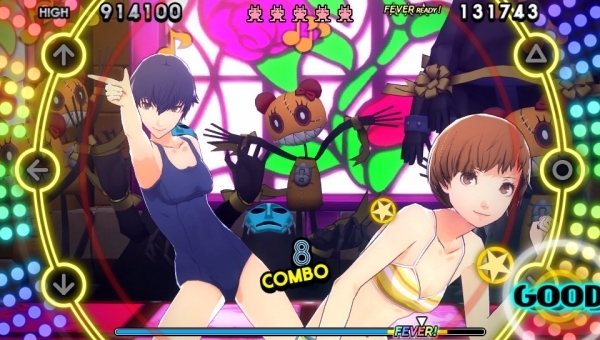 Are we finally finished with Persona 4: Dancing All Night trailers? I've already made up my mind to buy it, Atlus! No need to keep pushing out new dance showcases and screenshots! Please, mercy! The latest trailer features Naoto Shirogane, the "Detective Prince" of Persona 4, who grooves out in a reindeer getup and some very adorable costumes in this trailer. The game, as usual, is still being released on September 29 in North America and November 6 in Europe. It's also still an awesome-looking rhythm game with plenty of familiar characters. So we'll be in line to buy it together once it releases. Hey, Atlus! I've been reviewing Atlus titles for ten years now. This may be the longest series of trailers I've ever seen for one game. I'm hoping it does well so we can continue seeing this sort of thing in the future.